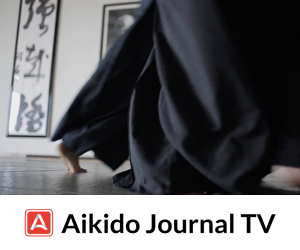 The typical aikido practitioner — this also includes many instructors — has only the vaguest of notions of how the art planted roots in Japan and abroad following World War II. This is not due to a lack of availability of information on the subject. It is possible to study about the events of this period, but the necessary information is scattered among multiple sources, which require a reading ability in Japanese, English, and other European languages. 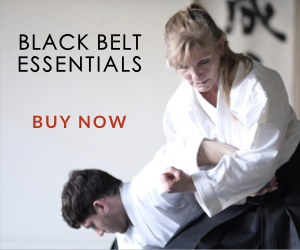 Certainly, the Internet has facilitated this task, but it is still difficult to gain a basic perspective of how aikido reemerged, first in Japan, and then abroad, after the cataclysmic events of the Great Pacific War. 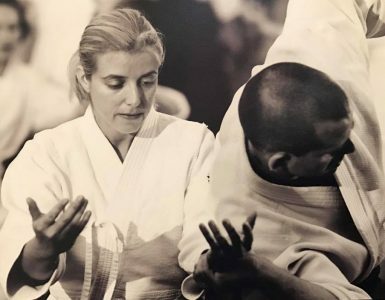 There is little incentive for scholars to do the necessary research because only a relatively small number of people are interested in such historical matters pertaining to aikido. A mere five years later, Kisshomaru became responsible for his father’s dojo when Morihei retired to Iwama late in 1942. During and after the war, Kisshomaru’s aikido training was irregular because of the extreme conditions in Japan that were unfavorable for martial arts practice. He was employed during the day at a securities company in Tokyo and trained and taught part time in aikido as his schedule allowed. 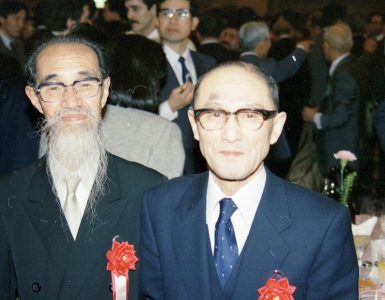 For the first few years, he lived in Iwama and commuted to Tokyo, but later moved back to Ueshiba’s dojo in Tokyo to oversee affairs and shorten the commute to work. During this time, several bombed-out families were living in the dojo. In 1955, since the Aikikai Hombu Dojo was reviving, Kisshomaru quit his job and began devoting full-time to instruction and management of the dojo. His total combined time of training under his father in the prewar and postwar eras can be estimated at 7-8 years. From 1955 forward until the Founder’s death in 1969, Kisshomaru was kept busy with his teaching schedule and management responsibilities, and so calculation of his total years training under his father is at best an estimate. 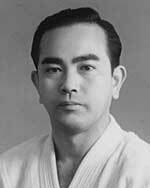 Gozo Shioda (1915-1994): Shioda enrolled in Morihei’s Kobukan Dojo in 1932 after having studied judo and kendo. He continued his training at the Kobukan Dojo during the height of its activity continuing for about eight years, part of which he spent as a live-in student. His training partners included many of the most famous students of Morihei Ueshiba from the prewar period. Although Shioda did not enter the military, he served during the war in a civilian capacity on various assignments in China and Southeast Asia. 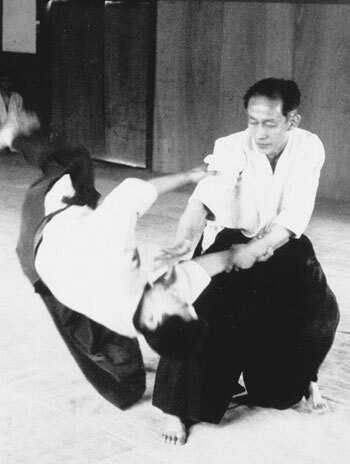 Following the war, Shioda spent one month of intensive practice in Iwama with Morihei in 1946. As Shioda lived in Tokyo, he had sporadic contact with Ueshiba thereafter during visits to Iwama, a train ride of about two hours from Tokyo station. 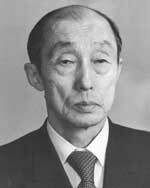 Shioda was among the first to begin actively teaching aikido after the war in Tokyo, and would soon establish his own school called Yoshinkan Aikido. A liberal estimate of Shioda’s total time studying under Ueshiba would be approximately nine years. 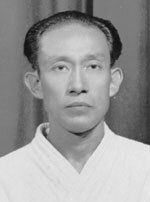 Kenji Tomiki (1900-1979): Tomiki learned judo as a boy continuing his practice while a student at Waseda University, save for an interrupting of four years due to illness. A large man by Japanese standards, he was a top-level competitor of 5th dan level during the late 1920s and even competed before the Emperor in the 1929 Tenranjiai tournament. Tomiki was heavily influenced by the views of Judo Founder Jigoro Kano with whom he enjoyed a close relationship. 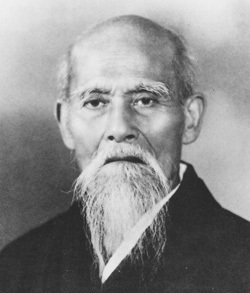 Tomiki started learning Daito-ryu Aikijujutsu under Morihei Ueshiba in 1926. He trained under Ueshiba in Tokyo on and off while he worked as a school teacher in Akita prefecture. In 1936, Tomiki relocated to Japanese-controlled Manchuria where he was employed as a martial arts instructor thanks to his connections with Morihei Ueshiba. 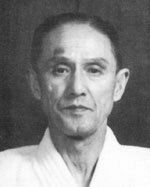 Tomiki was awarded an 8th dan from Ueshiba in 1940. Tomiki’s total time of study under Ueshiba amounted to perhaps 8-10 years. 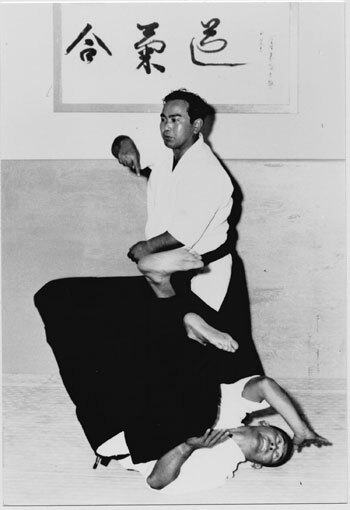 Gozo Shioda was the first to begin teaching aikido publicly due to his work of providing security arrangements at various company facilities during the “Red Purge” period of the early 1950s. The Aikikai was still struggling with low class attendance and the continued presence of the war-displaced families living in the dojo. A landmark event took place in 1954 when a public martial arts demonstration sponsored by the the “Life Extension Association” attracted some 15,000 spectators. Shioda’s dynamic demonstration attracted the attention of several wealthy patrons and soon plans were being made to build a dojo for his activities. In 1955, the first Yoshinkan Aikido dojo was inaugurated and served as the base for the propagation of this style of aikido in companies and police departments. An interesting side note is that a handful of American servicemen were among the early adopters of Yoshinkan Aikido and brought the art back to the USA starting in the mid-1950s. Shioda remained on good terms with the Aikikai, but saw Morihei infrequently. He felt that Ueshiba was retired in Iwama and that it was incumbent on him and the younger generation of Morihei’s students to disseminate the art to the general public. Tomiki’s repatriation to Japan was delayed until 1948. By the following year, he had become a professor at his alma mater, Waseda University, and director of the judo club in the physical education department. His activities were centered at the university although he also continued teaching at the Aikikai on a semi-regular basis. This lasted until about 1958 when Tomiki earned the ire of Morihei and the Aikikai leaders by introducing a competitive form of the art at Waseda University, something anathema to O-Sensei’s most deeply held principles. He could have muted criticism of his action had he abandoned the use of the name “aikido,” but chose instead to keep it. From that moment forward, Tomiki became unwelcome at the Aikikai. Koichi Tohei was blunt in his criticism of Morihei Ueshiba. 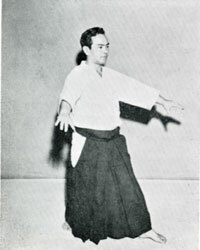 He clearly stated in published interviews that the main thing he learned from his aikido training under the Founder was the importance of “relaxation.” Tohei developed his ki-based methods incorporating elements of Tempu Nakamura’s health system and meditative practices of the Ichikukai. 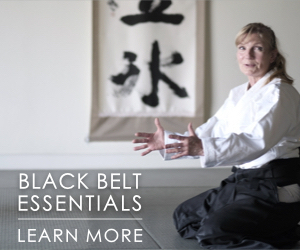 He created what was actually a hybrid system combining basic aikido techniques absent a martial emphasis with additional practices culled from his outside studies. Tohei, too, felt that Morihei’s mystical explanations of aikido replete with incomprehensible metaphors and rambling speech ran would retard the future growth of the art. Thanks Stan for a fine condensed nutshell of the rise, fall and decline of the aikido empire. I have full faith that Aikido will rise again, phoenix like, from the ashes of politics, profiteering, opinionated cults and other debacles which perhaps are nothing more than teething problems in the introduction to a newer paradigm more suited for future human thriving: The Founders vision! 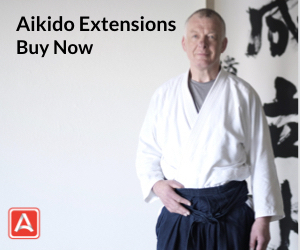 Every persons aikido is an “interpretation”. Saito sensei included. Pranin sensei, often in articles you treat senior aikikai instructors with great respect. Yet then you put forward articles like this that suggest that you think their aikido is unworthy. I would be interested in seeing how you would have fared if you had tried to demonstrate that “unworthiness” on the mat with the likes of Tohei or Yamaguchi sensei! However, I sincerely thank you for the historical research that so freely share with the aikido world. When I started practicing Aikido, kiai was not allowed, tobu ukemi was almost forbidden and koshinage was considered “anti-aiki” as well as techniques such as rokkyo (hiji-gime). Jo was practiced but just doing flowing movements or something really without sense. How things changed with Saito Sensei’s influence! Of course, Morihiro Saito Sensei, unknown to me in the first 3 classes I had, was heavily criticized and considered to be violent. A short time after I started learning Aikido, I was lucky to be in one of Morihiro Sensei’s seminars in Melbourne. He was rigorous but extremely prudent in teaching beginners like me. Indeed, one must always search to find out if what is being said to you is the truth.